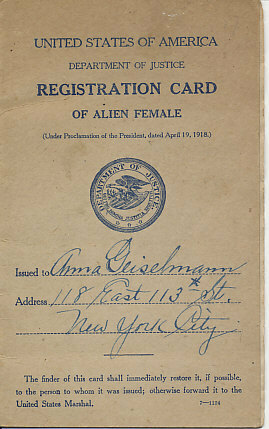 more The United States Department of Justice Registration Card of Alien Female Anna Geiselmann of New York City. 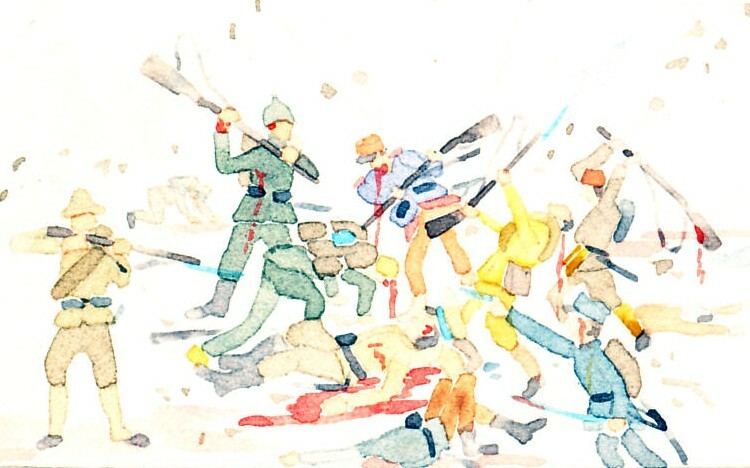 Issued July 8, 1918. Address 118 East 13th St. This certifies That Anna Geiselmann (name of registrant) residing at (street and number) 118 East 113th St.
whose photograph and signature and / or other mark of identification, appear hereon, has registered at New York, New York, New York, Precinct 39 as a person required by law to register under the Proclamation of the President of the United States, dated April 19, 1918.